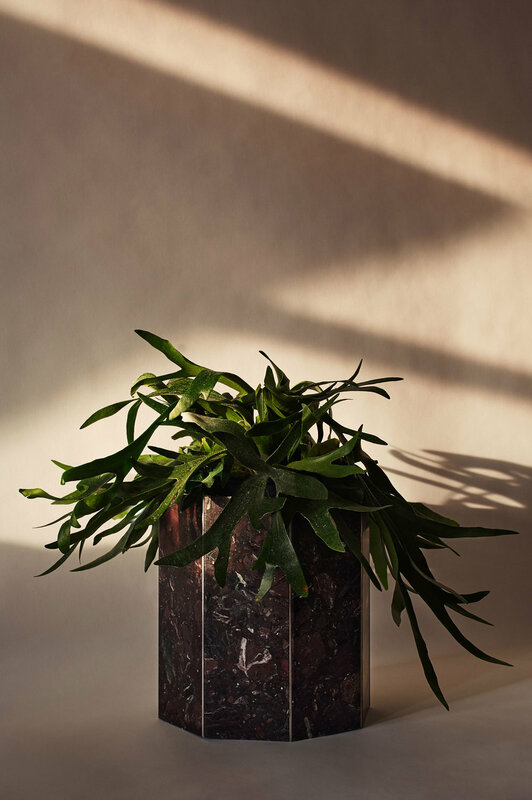 Narcissus planters are a private commission for a Berlin-based project and initiated by Aptm Berlin. 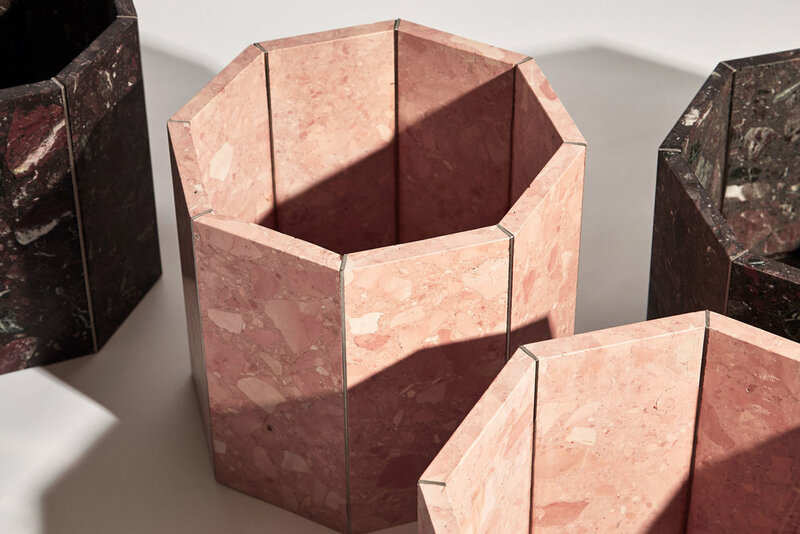 The pieces follow the Narcissus Vases in Rosa Perlino and Rosso Levanto shown at David Gill Gallery in November 2017 and are made from these two traditional Italian Terrazzos in their bold colours and stainless steel slats. They have been made in three different sizes ranging between in 35cm and 43cm in diameter and 30cm and 36cm in height. For enquiries or orders please feel free to send us an email.